Areas of Expertise: Interventional pain management, Medical pain Management, Hospital/Inpatient pain management. Clinical Interests: Effects of early interventions for pain or outcome in trauma patients, new pain management systems, total quality improvement in pain management. Personal Interests: Music, singing, philosophy, Benedictine spirituality. Professional Interests: Perioperative pain management, cancer pain management and anesthesiology with a special interest in regional anesthesia. Biosketch: Dr. Gordon is the Co-Director for the Harborview Integrated Pain Care Program and Teaching Associate with the Department of Anesthesiology & Pain Medicine at the University of Washington, Seattle. She works in conjunction with the inpatient and outpatient Pain Relief Services, clinics and hospital staff to collaborate on improving systems of care and designing outcome evaluations that benefit patients and populations across the continuum of care. 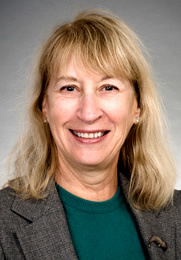 She is a co-investigator for the UW’s NIH designated Center of Excellence in Pain Education. Deb has also been involved in a number of national and international projects focused on improving pain management including for the American Pain Society's (APS) Quality Improvement Guidelines, the Robert Wood Johnson (RWJ) funded Postoperative Pain Management Quality Improvement Project (POP), the Australian National Institute of Clinical Studies (NICS) evidence-practice gap project on managing acute and cancer pain in hospitalized patients, and the International “Pain-Out” Registry. She has served as a member of the American Nurses Credentialing Center’s (ANCC) content expert panel on pain management, and as co-chair for the APS acute postoperative pain guideline. Dr Gordon is active in a number of professional pain management societies, and has served as a Board member for the American Pain Society (APS). 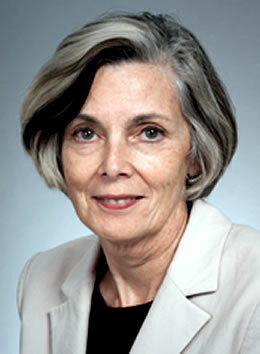 She is a Fellow in the American Academy of Nursing. Areas of Expertise: Pediatric pain management, Complementary and integrative medicine. Field of Interest: Pediatric regional anesthesia, pain management and acupuncture, palliative care. Research Interests: Health-risk behaviors in adolescents with chronic pain, the interrelation between pain and sleep and the impact of chronic pain on child and family functioning. 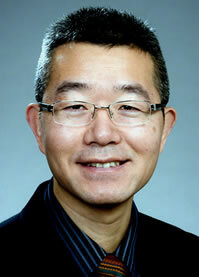 Professional Interests: Research in pain medication kinetics in infants - morphine, ketorolac. Recent addition of acupuncture as adjunct pain management modality. Areas of Expertise: Interventional pain management. Areas of Expertise: Pediatric Pain research. Clinical Interests: Pediatric chronic and recurrent pain, sleep disorders in children Psychological treatment of pediatric chronic pain, use of innovative technology to deliver treatment, sleep-wake disturbances. Areas of Expertise: Inpatient pediatric pain management, Quality Improvement. Professional Interests: Quality improvement, crew resource management and human factors/team training, PALS instructor. Personal Interests: Parenting, skiing and running the occasional half marathon! Areas of Expertise: Myofascial pain treatment, Medical management of pain. 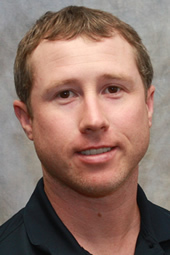 Biographical Statement: Dr. Rapp has been a pain management specialist at the UWMC for 24 years. Her current clinical interest is in myofascial pain. Opioid policy and outcome are current research interests. Areas of Expertise: Rehabilitation in pain management, Medical management of pain, Fibromyalgia research. Clinical interests: Spine disorders and fibromyalgia. Research interests: Rehabilitative treatment of fibromyalgia and decision-making among patients on chronic opioid therapy. Teaching interests: The importance of a rehabilitative approach to chronic pain patients. Personal interests: Bicycling and guitars. 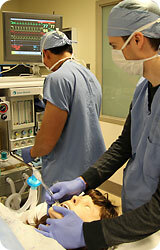 Areas of Expertise: Interventional pain management, Medical management of pain. Teaching Interests: Teaching residents and fellows the theory and practice of pain medicine, as well as developing clinical research collaborations with them to answer new clinical questions. Clinical Interests: Chronic regional pain syndrome, neuropathic pain and spinal pain. Research Interests: To develop a standardized clinical pathway for optimal management of chronic regional pain syndrome. To help improve management of chronic pain in the primary care setting. Personal Interests: Spending time with family and friends, reading, traveling and sports. Areas of Expertise: Psychiatric management of the chronic pain patient. Clinical interests: Outpatient treatment of chronic illness including chronic pain, heart disease, diabetes and depression. Palliative care for seriously ill patients who are not yet at the end of their lives. Research interests: He is interested in expanding the ways in which patients can participate in their chronic illness care and the interaction of mental and physical health in chronic illness. 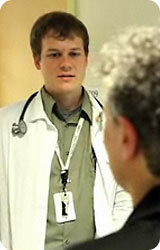 He studies the determinants of quality of life in chronic illness and the cost-effectiveness of care. Teaching interests: Bioethics, chronic pain, depression in chronic illness and medical mimics of psychiatric disorders. Personal interests: Bicycling to work, running, reading and swimming. He enjoys playing old-time string band music with his family. "Care and treat all patients as I would expect for myself." Areas of Expertise: Medication management of chronic pain, Medical student pain medicine education, Pain management in Primary Care Practice. Expertise: Diagnosis, education, and medical management of acute and chronic pain in specialty and primary care. Clinical interests: Consultative and Primary care management of acute and chronic pain primary care internal medicine. Personal interests: Family, friends, skiing, mountain biking, art, theater, non-fiction reading, political and philosophical discussion. 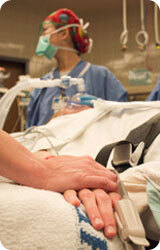 Areas of Expertise: Pain research, Interventional pain management, Obstetric anesthesiology, OR anesthesiology UWMC. Research Interests: For the last 30 years I have been interested in the synaptic plasticity of the central nervous system as a result of repeated or prolonged nociception and/or repeated or prolonged pain relieving drugs. In the last few years, my research has focused on the mechanisms and neurochemistry of of opiate tolerance, potential therapeutics to help opiate tolerant patients, and studies to minimize the life-threatening risk of opiates in analgesic tolerant patients. Clinical interests: Acute and chronic pain management in pediatric population, pediatric regional anesthesia. Areas of Expertise: Psychological assessment of the patient with chronic pain. Areas of Expertise: Hospital pain medicine. Areas of Expertise: Pediatric pain management. 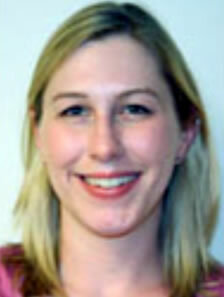 Professional Interests: A major professional focus has been advocacy for better pain management for children. The socpe of these efforts conitnues to broaden, including national and international efforts. Areas of Expertise: Medical management of pain, Pumps, stimulators, peripheral nerve blocks and trigger point injection. Clinical Interests: Chronic pain management. Research Interests: Chronic pain therapy-related research. Teaching Interests: Preceptorship of physician assistant students. Personal Interests: Reading, tennis, travel and stamp collecting.